KUNDALINI - (Sanskrit kund, “to burn”; kunda, “to coil or to spiral”) socalled because it is believed to lie like a serpent in the root chakra at the base of the spine. Kundalini is a psycho-spiritual energy, the energy of the consciousness; a concentrated field of intelligent, cosmic, invisible energy, intrinsic and vital to life. Reputedly beginning in the base of the spine when a man or woman begins to evolve as wisdom/Presence is earned through spiritual surrender. Kundalini has been described as liquid fire and liquid light and is an aspect of Shakti, the divine female energy and consort of Shiva. The ultimate outcome of kundalini is the union of Will (shakti-kundalini), Knowledge (prana-kundalini) and Action (para-kundalini). The inner fire is the most potent of all forces, for it knows no limits and penetrates the fabric of space, matter and time. 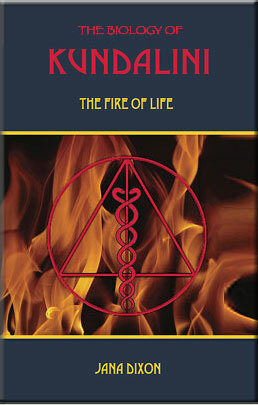 The aim of this book is to suggest a preliminary protocol to support the fire of kundalini, allowing for permanent gains in transformation. To do this we must prevent ego blowback and prevent neurodegeneration, thereby reducing the biological depression that often happens after an awakening. As the science of kundalini progresses such a protocol for adaptation or higher homeostasis will be greatly refined and expanded. Till then, please be aware dear reader that this is an experimental book. The medical research that will give us the definitive answers to the secrets of metamorphosis has yet to be done. In the past we have had no scientific understanding as to what was actually happening during kundalini and so the alchemy of spirit was shrouded in mystery and superstition. Now in with modern science we can begin to understand what is really going on, and thus build an alchemical science like never before. There is an urgent need to understand the evolutionary process of transmutation, for our human survival might indeed necessitate it. on the right top of the adf.ly u will see pls wait 4 5 sec aft that skip ad click on tht ,link will appear. Yes sir, this is exactly what was supposed to do. Now, seems stuck on the "please wait..." and nothing else. I wait my 45sec and more... and nothing happens. There is something wrong, as I've said. Sir so sorry for ur inconvenience. try flash update . thk u.